I decided to go rent a stump grinder and give it a go myself instead of paying someone $750+ to do it for me. Money did factor somewhat into this decision because I was able to rent one myself all day for $250. 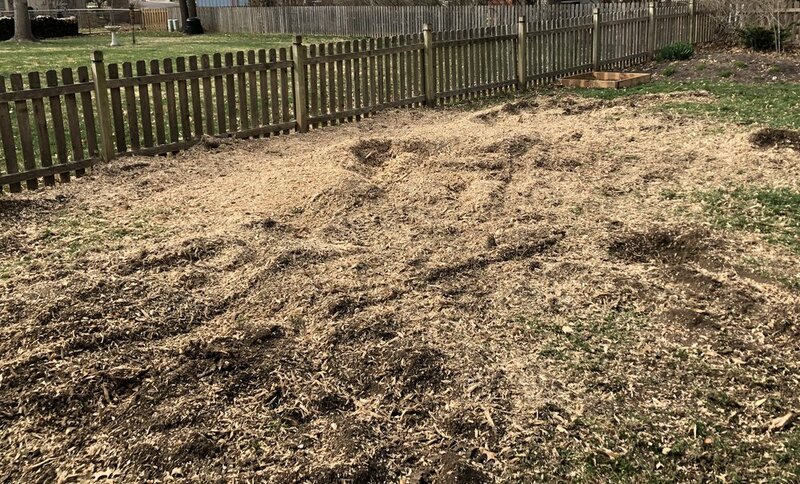 I was even savvy enough to take out stumps for two of my neighbors and after they paid me I actually came out slightly ahead on the deal. Another winning trade for Ramp. T4P. When I posted some pictures online yesterday, I caught some flak about why I didn’t hire a landscaper to do this work. The reason being is I don’t like to hire someone to do work for me that I know I am physically capable of doing myself. I do nearly all of my home repairs myself (electrical, plumbing, etc.). I’ve always had this mindset but maybe this is inherited through our upbringing. I’m sure if you were raised in the big city you probably don’t own any tools, sad. Most millennials get a bad rap for not knowing how to do anything with their hands (i.e. use a hammer). Don’t get me wrong, there are times when I hire out work but it’s mostly dependent on if I don’t have the time to do it myself, I don’t feel safe doing it myself, or I don’t have the correct tool for the job. For instance, we hire someone to clean our house every couple of weeks because we get a great deal and we just don’t have the time to do it. I also had some roof work done that I was competent enough to do but my pitch was too steep and it was a safety concern for me. Here are some before and after pictures of the stump grinding. It was actually kind of fun tearing this up. Now I just gotta figure out what to do with all the mulch. Also, if you noticed, I need to power wash the fence. Which, by the way, is a very therapeutic task, believe me. Some people just don’t like doing manual labor and they would rather sit inside all day and watch TV. I’d rather get outside and get a workout or learn something new, maybe it will turn into a hobby. That’s how I got into woodworking. I just bought a saw and started making things and now I’m addicted. There is something gratifying about building or fixing something with your hands and telling people “I did that”. Time is money, but learning new skills through hard work is time well spent. There is no substitute for hard work. Do you hire out housework or do it yourself? Comment below.